The government will issue newly introduced Taka 5 and Taka 2 notes as the government currency from Monday (tomorrow), said a press release. Finance Division Secretary Mohammad Muslim Chowdhury will sign the notes which will be issued at Motijheel branch of Bangladesh Bank (BB) on Sunday (tomorrow) and other offices of the central bank later, the release said. 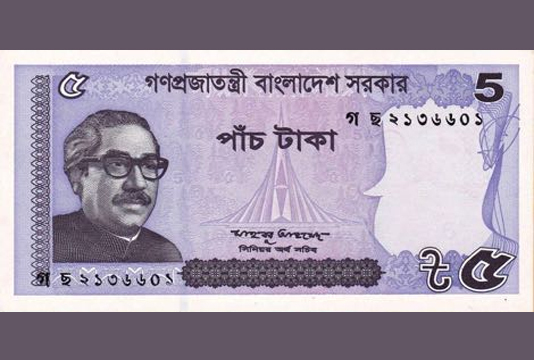 The currencies have been printed with portrait of the Father of Nation Bangabandhu Sheikh Mujibur Rahman. The colour, size, watershed, design and other security features of the new notes are similar to the traditional notes. Is Uber really worth $100bn?